Comfort - Speed - Precision. The only choice! New from Lightweight, the fantastically Germanic sounding KOMPAKTBÜGEL. Carbon bars done the Lightweight way. "Road bike riding is your way of life: speed, motion, sport, lifestyle. Your bike is your racing machine, training partner, and a thing of beauty all in one. It should be customized to your unique dimensions - fit you like a glove. Maximizing your performance is your top priority. Ergonomics is essential - which is precisely why Lightweight developed its KOMPAKTBÜGEL." The flattened oval top section offers a comfortable gripping surface. The reach and drop are designed for ergonomic transitions and natural grip positions. 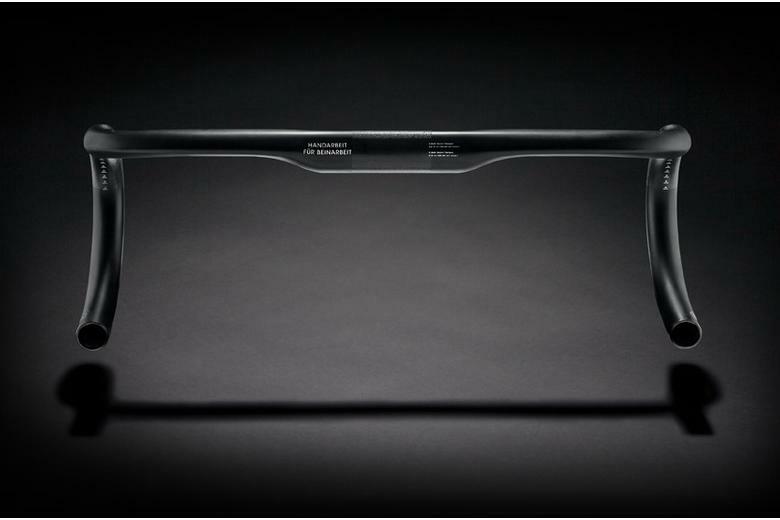 Constructed with state-of-the-art high-modular carbon fiber, it weights a mere 196 g in medium size. Light enough so that you don't have to move too much inert mass, and stiff enough to accurately transmit all your steering movements to the front wheel without causing fatigue, even on long rides. KOMPAKTBÜGEL features smart carbon weaving for ultimate riding comfort, zero micro-vibrations, and a range of sizes to fit your body type. 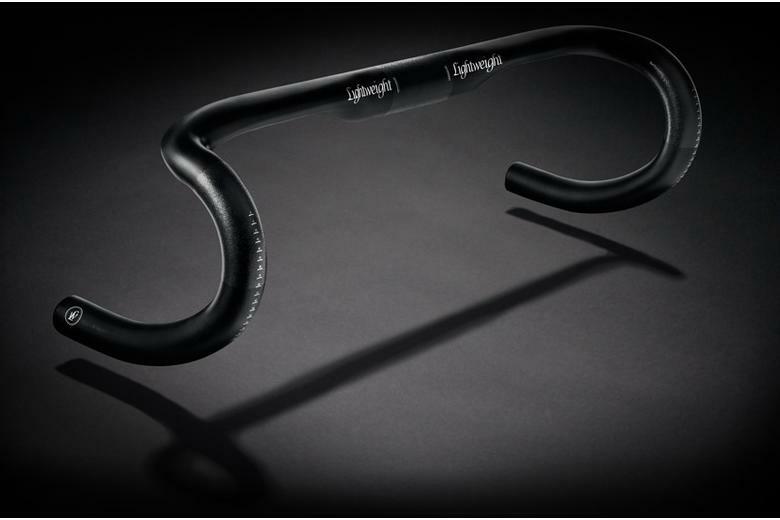 KOMPAKTBÜGEL is even the perfect base handlebar for your triathlon bike, with a rounded clamping area specifically designed to accommodate aero bars. And we have a sneaking suspicion you'll like the classic black matte finish with the white logos. Available now, the KOMPAKTBÜGEL retails at £330.00. 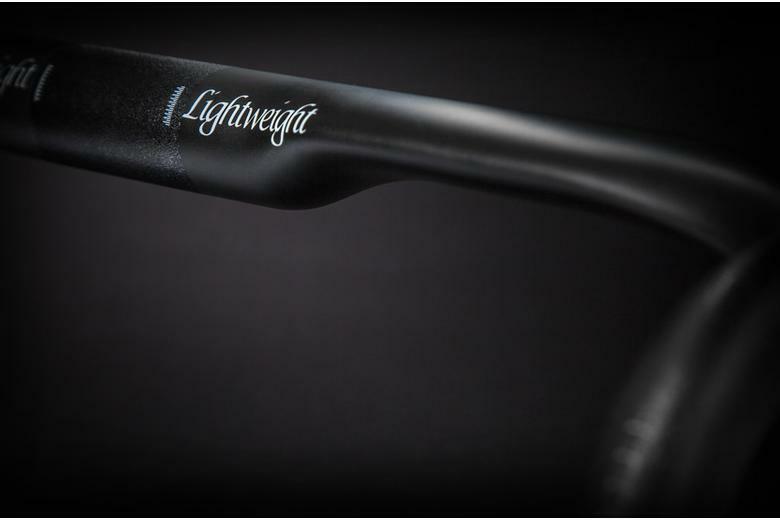 We reckon these will be a serious contender to ENVE's dominance of the high end carbon road bar market. Get some umlauts on your build today!